D2O, 99.9 atom % D available from 1 Kg to Ton quantities. For larger quantities please request pricing and availability. Deuterium has in the nucleus one proton and one neutron with an atomic weight of 2, as compared to hydrogen which has just one proton in the nucleus with the atomic weight of 1. 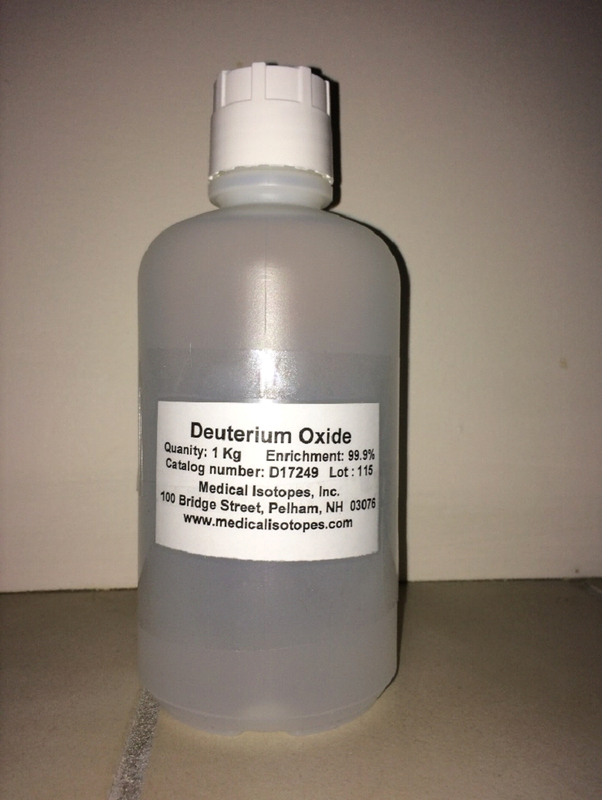 Heavy water or D2O has a wide application ranging from its use to create deuterated compounds, as a reference standard, as a tracer in oil coring samples, and for neutralizing or cooling in atomic reactors. It is non-toxic to humans, animals or plant life in diluted form.